If you’re shopping for a flat iron, here’s a sweet deal for you. 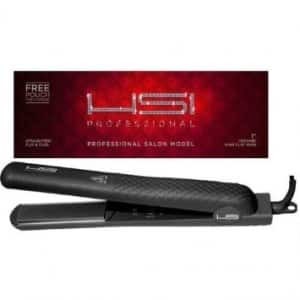 Click here to visit the Amazon site and you’ll be able to score a HSI Professional Ceramic Tourmaline Ionic Flat Iron Hair Straightener for $39.85 (regularly $199.99). It has gotten excellent reviews and they’re also offering free super saver shipping since you’re spending $35+ or if you have Amazon Prime.